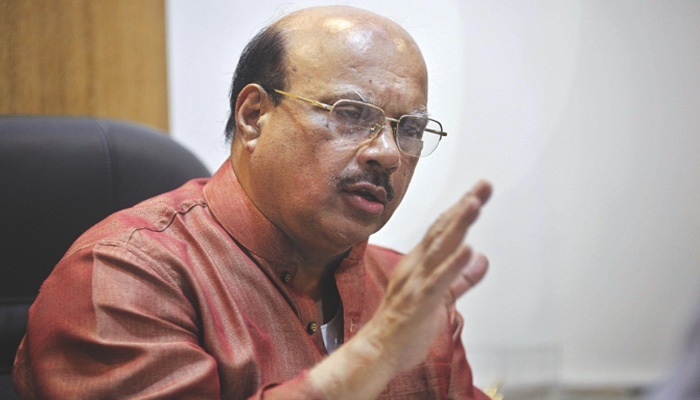 Presidium Member of Awami League (AL) Mohammed Nasim on Monday urged BNP not to do politics over illness of BNP Chairperson Khaleda Zia. “BNP is resorting to falsehood over the illness of Begum Khaleda Zia. The government is very sincere for providing better treatment to Khaleda Zia,” he told a discussion at Institution of Diploma Engineers, Bangladesh (IDEB). Bangabandhu Academy organised the discussion on the occasion of the historic March 7. Former Food Minister Advocate Qamrul Islam and General Secretary of Dhaka South City Unit of Awami League Shahe Alam Murad, among others, addressed the discussion with President of Bangabandhu Academy Nazmul Haque in the chair.